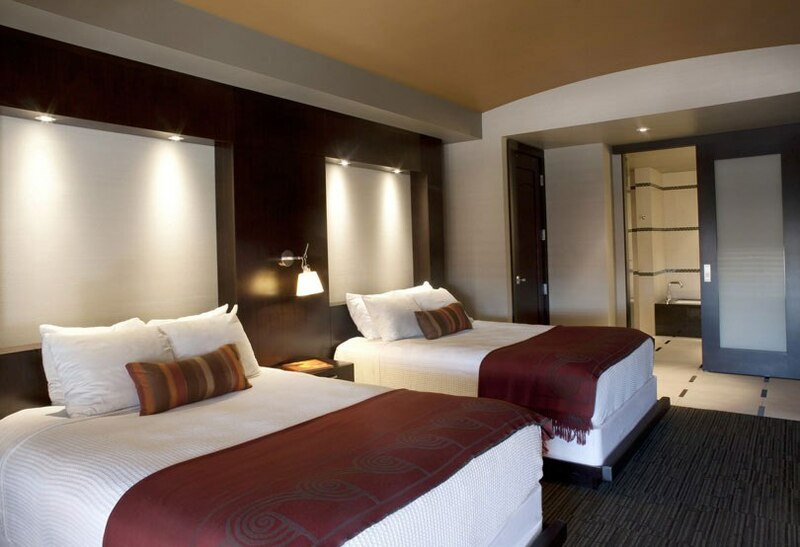 Talking Stick Resort is Scottsdale's one-stop travel destination for work or play. Whether you have booked a relaxing getaway vacation or are in town for a business conference event, they have the amenities to fit your needs. Stay connected with complimentary high-speed Internet access or print a report from the state-of-art hotel business center. If it's a luxury vacation you seek, soak up the Scottsdale sun at one of the hotel's two pools or work off that gourmet dinner at Talking Stick Resort's 24-hour fitness center on the hotel's 14th floor. It's outfitted with the latest gym equipment and floor-to-ceiling windows that offer the best views of Scottsdale and the Valley. With two championship Scottsdale golf courses, it will challenge any golfer no matter what their handicap. Designed by legendary architects, Ben Crenshaw and Bill Coore, Talking Stick Golf Club has received numerous awards and has been the backdrop for many prominent events in Scottsdale.